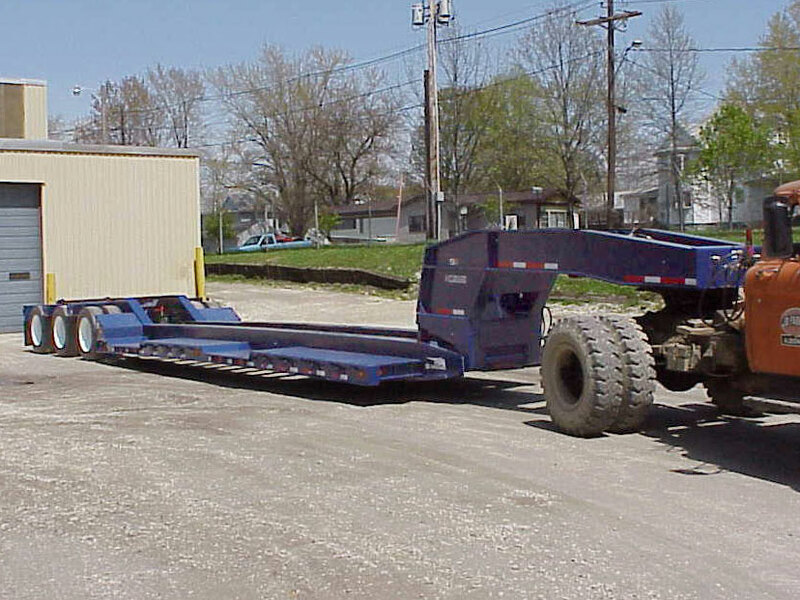 The SP60DS lowbed has a 60-ton capacity drop side deck built to move tall, heavy machines. It features the patented "No Foot"® self-lifting gooseneck, award winning wheel wells and air ride suspension. An excavator's boom and stick can be lowered into the "boom trough" to provide more overhead clearance. The wheel wells provide an additional 4" of overhead clearance for rubber-tired machine loads. Designed to the customer's specification, these recessed and flush cover plates reduce road spray. Large 7" dual amber strobe lights are for better visibility when traveling loaded, or unloading near traffic.